"Fighting to Survive" Trailer Released for 'Days Gone' - Horror News Network - The Horror News You Need! 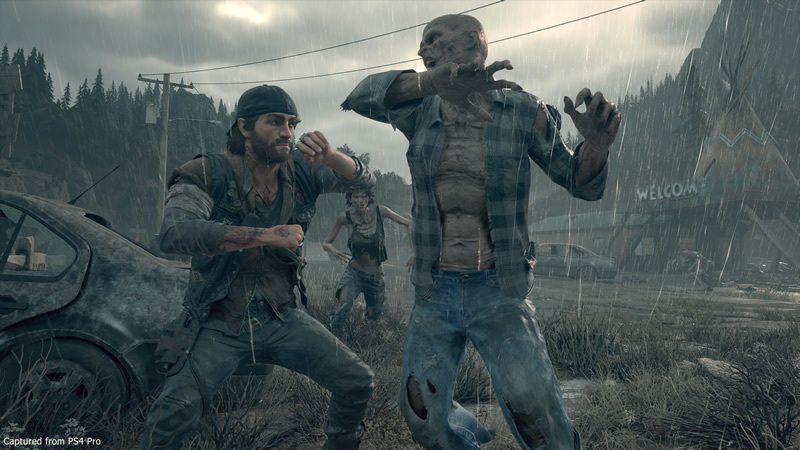 Developed by SIE Bend Studio and published by Sony Interactive Entertainment, Days Gone is a survival horror game which uses the wildly popular Unreal Engine 4 to drive the game. Set in the Pacific Northwest two years after a pandemic wipes out most of the world, Days Gone is an open-world action-adventure game where you play as Deacon St. John, a drifter and bounty hunter who would rather risk the dangers of the broken road than live in one of the “safe” wilderness encampments. The game was pushed back from its initial February 22 release date and now will debut on April 26, 2019. Keep it locked to Horror News Network for the latest on Days Gone.